There are two sides to my job. There are two sides to a lot of things. Occasionally, there’s also that grey in between place. And that’s where I live. I smirked, brushing back dark bangs and tilting my head so I could see her better. 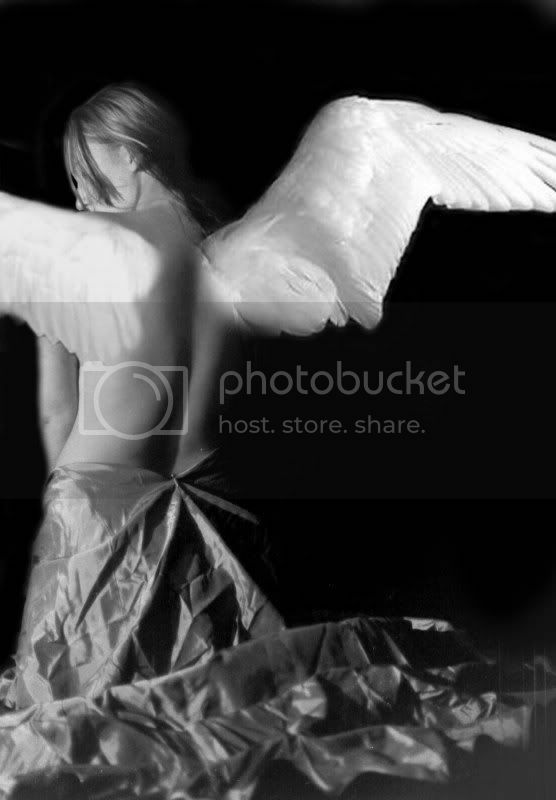 Her white wings twitched, feathers trembling in the breeze. She thought everything was clear cut. I’d like to clear cut her wings right off and see her bleed out, but even I knew that was a step too far. Her lips parted but no sound came out, deep lines furrowing her saintly brow. I knew she wasn’t a saint, though. You can always tell which angels have been tainted and she was one. I brushed my hand carelessly across my collar bone, watching as her helpless eyes followed. Yeah. I knew how they all ticked. “Don’t you have any morals, Hera?” Hope tinged her gaze. It was useless. I’d seen far too much to ever keep to their heavenly ways. I’d even done enough to prove I never could. She shook her head in disgust and turned away, citing the new contract she had in her hands. It was just another soul saving mission with a demon capture thrown in. The demon capture didn’t matter so much; the other side would only offer me a contract to return their little devil hours later. It made work easier… until she said the demon’s name. I almost fell off my perch, dropping the scythe I was cleaning. My heart pounded in my chest. Blood pumped thick and fast as I focused on the name. Clamping down on shock, I flattened the sudden spray of my hair. The scythe felt alien to my hand as I retrieved it from the floor. I had to play it cool. Leaning over to her, I kissed her the way she’d always wanted me to, distracting her from my momentary slip. I couldn’t let her report that back. She absorbed my answer but said nothing, too dazed to understand what I was responding to. 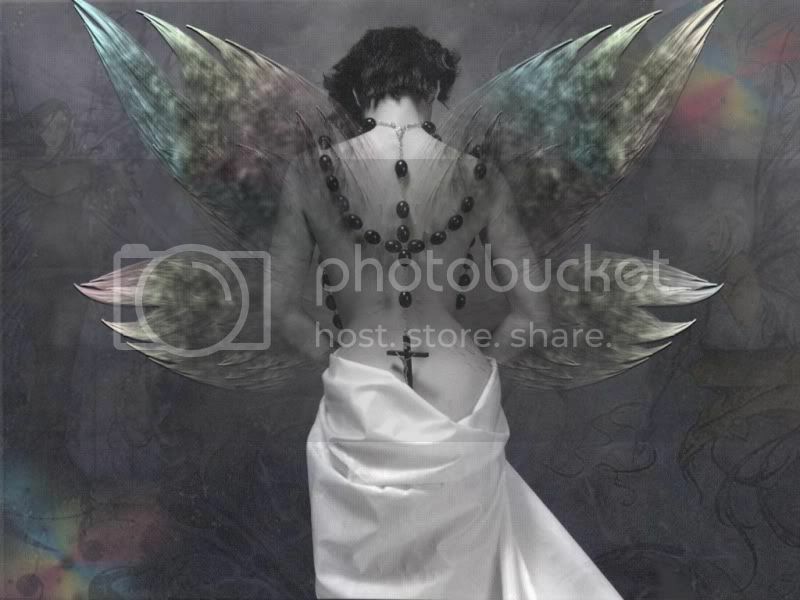 Even angels have weaknesses and after all of these years I could interpret their individual secret sins. Of course, the kiss would only keep her happy for a while until she remembered and understood what I was about to do. There was no way I was going to capture that demon. He was Lucifer’s favourite son and to cage him would be madness. That didn’t bother me. I would be protected by the heavenly if it came to that, but there was something else. He wasn’t just a demon. He wasn’t just Lucifer’s son. He was the father of the secret child that slept deep in my belly. And I would do anything to protect him for her. Good surprise ending. Didn't see that coming. Love your flash fiction. Keep it coming. Near the end I thought Hera had some relationship with the demon, but would have guessed what kind of relationship. I like how Hera isn't all evil and the angel is tainted. Love 'grey' characters. Interesting take on the spiritual realm as well. Tainted angels that don't go dark? What happens to them? I have to say the tainted angel is very compelling–almost feels like natural consequence of working closely with evil as would be necessary for soul saving. The angels that don't fall, but could, are very fascinating for me. I guess I also like the grey space between. Hera lives the grey space excellently, knowing how much to give and take to reap the most from association with both sides–and then having her own personal line of family she won't cross. I like it. That grey space is so rough. the opening of this is absolutely phenomenal. it pulls the reader just right in!